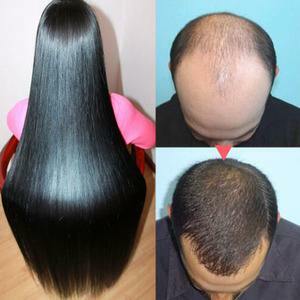 Hair fiber spray is to cover people's hair loss and hair thinness. Many people have obtained convenience from it, but many people have not used hair fiber powder. I don't know what the correct usage is. Let me introduce you to the hair. The use of fiber powder. First, the regulating hair can play a role in regulating body temperature. In winter, the wind is cold, the blood vessels are contracted, and the hair can keep a certain amount of heat in the head; in summer, the sun is hot, the blood vessels are dilated, and the hair can dissipate heat outside. Therefore, the hair has the dual function of both heat preservation and heat dissipation. Hair is a fibrous tissue that grows from the scalp and is a hard horny arrangement formed by cell regeneration. Hair is made up of hair roots and hair shafts. Secondly, the feeling of feeling the hair is more sensitive. When the external environment has an influence on the human body, whether it is wind or rain or sun-fired, the first thing is the hair, and the information sent by it is transmitted to the brain. Take a variety of protective measures. 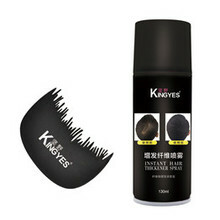 Third, the protection of thousands of hair wrapped around the head, naturally forming the first line of defense of the head. Thick, healthy and clean hair can protect the head from external mechanical and bacterial damage and plays an important role in fitness. 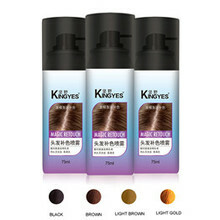 For men and women with thin hair, when the hair is completely dry, gently spread the hair fiber spray evenly on the thin part of the hair, gently slap the hair with your hand, let it spread completely and then finish the hair. It is better to use the matching water at the same time. If the skin has symptoms such as allergies or itching after use, it needs to be suspended in time. If you fall into your eyes, wash it off with water. The dense fiber is the enemy that needs to be kept away from the fire source and placed in a place where it is dry and not accessible to young children.